This recent weekend, Kepi and I drove to Hershey Gardens (Pennsylvania). 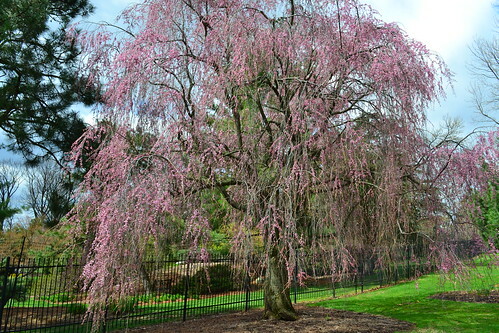 We were expecting to see the Tulips in full bloom, but we were met with the spring cheers of Cherry Blossoms, Dogwoods, Plum Blossoms and other flowers instead. 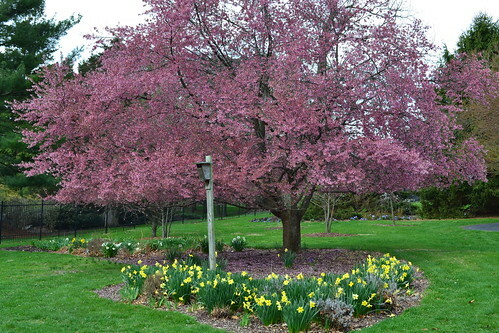 Although the Tulips haven't bloomed yet, we enjoyed the company of these blooming trees. After the Cherry Blossoms spectacular bloom in DC and MD, we were in time for their full bloom at Hersheys. It was as if, we were chasing Cherry Blossoms. Next stop, New York and maybe New Jersey. 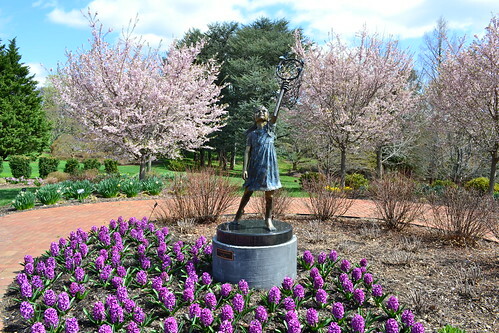 "Little Girl with a Butterfly Net" statue flocked with Cherry Blossoms and the fragrant Hyacinths. 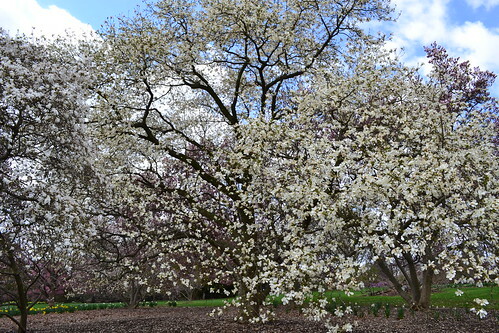 Abundance of Dogwood and Magnolia flowers. I can't tell them apart from this photo. 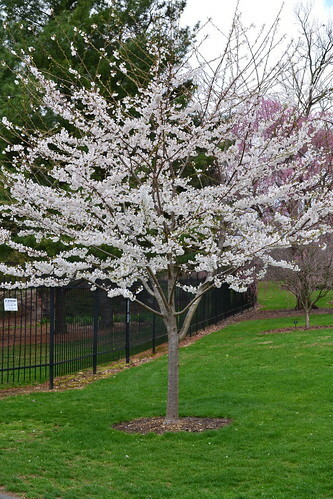 One of the beauties that afternoon - a flowering Plum tree. Pink blossoms from this Weeping Cherry Tree. A blooming young Cherry Tree. The future is vibrant for this one. Please keep on chasing cherry blossoms. They are so lovely. I never tire of seeing these showy trees at this time. We don't have these anymore. We're right into the summer I think. We don't have cherry blossoms here in Pinas, it must have been really beautiful. wow i love it... i wish there is something like this in our country..
awww, Cherry blossom...I envy you...i wish i wish!